Not a bad way to kick off the divisional state meets. 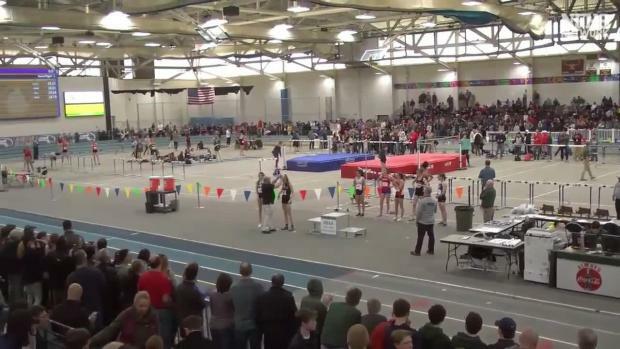 On Wednesday, Division 4 took center stage at the Reggie Lewis Athletic Center with several athletes moving up the MA rankings with the MIAA All State Meet just 10 days away. 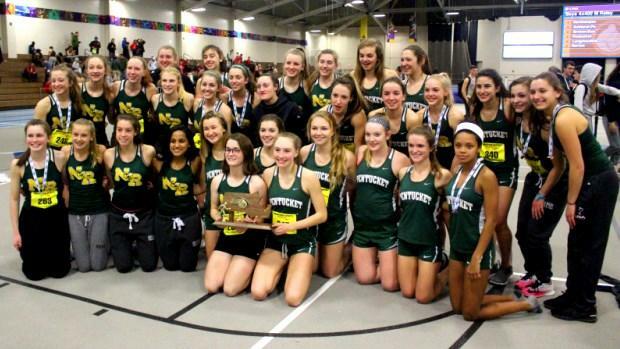 Team-wise, defending champion North Reading shared the girls' team title with Pentucket with both schools scoring 47 points. 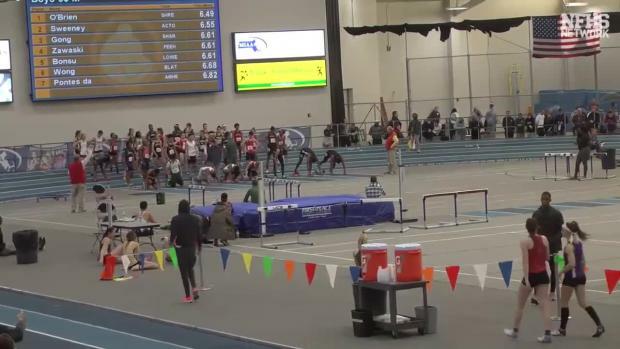 In the boys' meet, it was Northampton with 63 points. Burlington took runner-up honors with 42 points. Medway's Ava Vasile and Hudson's Michael Blake each went home with a pair of individual victories in the four-hour meet. Vasile, the defending 55-meter hurdle champion, solidified her status at the top seed by blasting to a personal best of 8.41 seconds, a time that ties Belmont's Anoush Krafian for the No. 1 time statewide. 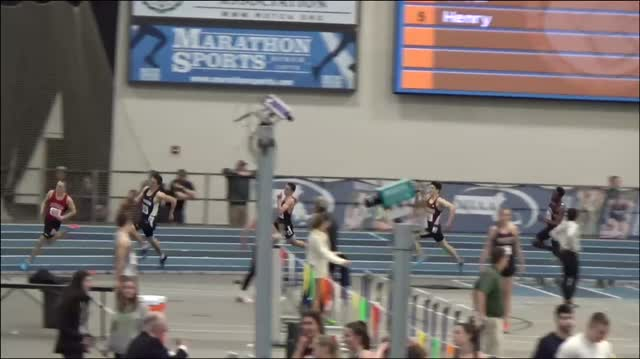 The Medway standout also broke the tape in the 300m dash where she was timed in 40.28. If that wasn't enough, she also sizzled to a 56.8 anchor leg for her team's first-place 4x400m , which was time in 4:10.18. Blake captured both sprint events with all-time best. 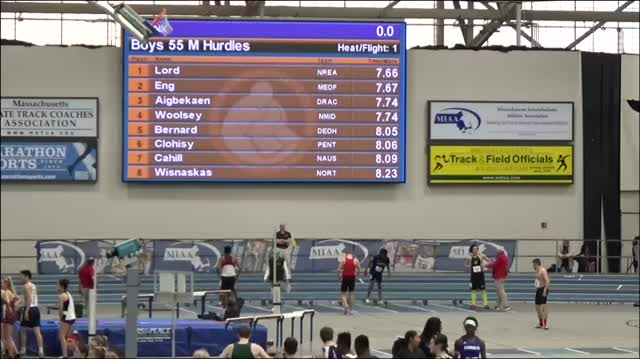 He was first in the 55m dash with a 6.49 clocking, nearly two tenths of a second ahead of his closest rival. In the 300m, Blake had to hold off Burlington's Michael Pavao with both dipping under 36 seconds. Blake finished in 35.52 to Pavao's 35.82 effort. Amherst-Pelhham's Aiden Foucault-Etheridge beat at talented field to win the 1,000m. Foucualt-Etheridge was comfortably ahead of runner-up Benjamin Gordon Sniffen of Northampton, finishing with a time of 2:32.91. Gordon-Sniffen was timed in 2:35.14. A well-timed kick with about 150 meters remaining, bolted Burlington's Rishabh Prakash to a victory in the mile. 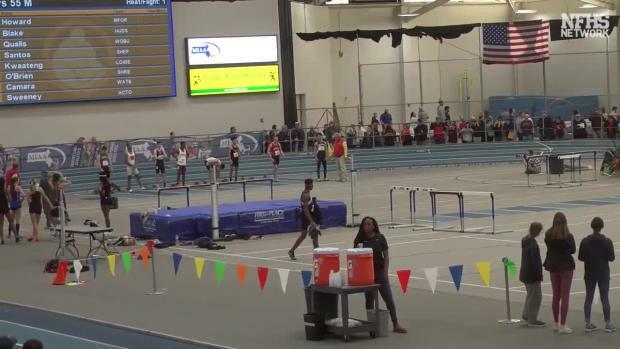 Prakash overtook the front-running Matt Greatorex of Wakefield Memorial and finished with a near PR of 4:25.35. Greatorex secured second in 4:27.03. 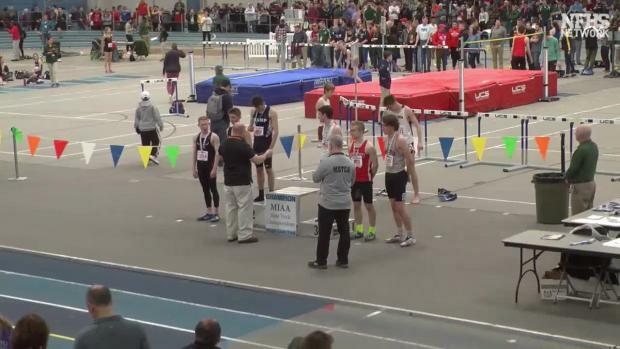 Nauset's Brian Brooks was third in 4:30.88. Prakash's final 200m leg was unofficially 29 seconds! In a gun-to-wire race, Nauset Regional's Madaket Nobili won the girls' mile with a PB of 5:09.46. Nobili held a strong gap over the chase pack after the first 800m, which she passed in 2:33. Gaining ground in the closing laps of the race, North Reading's Meredith Griffin placed second overall with a time of 5:10.88. Westwood's Sarah Conant was third in 5:11.03.